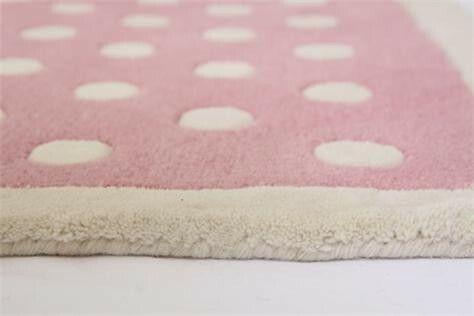 Add colour and warmth to your little girl's bedroom with our Pink Spotty rug. Now available in two sizes, a great finishing touch to go with our Fairy and Rosie ranges. Hand tufted from 100% wool.